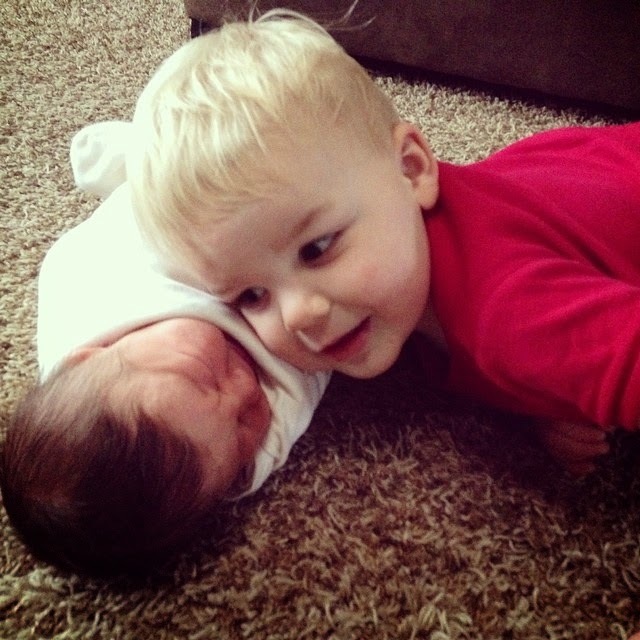 Back in April, I guest posted about being a boy mom on the blog, Chasin' Mason. Since my blog is basically my scrapbook, I wanted to publish the post here, as well, so that it's archived for future reference. Here it is! Hi there! 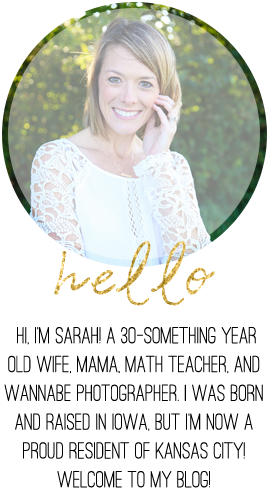 I'm Sarah, a 31-year old wife, mom, and high school math teacher enjoying life in Kansas. I blog over at Seeing All Sides. 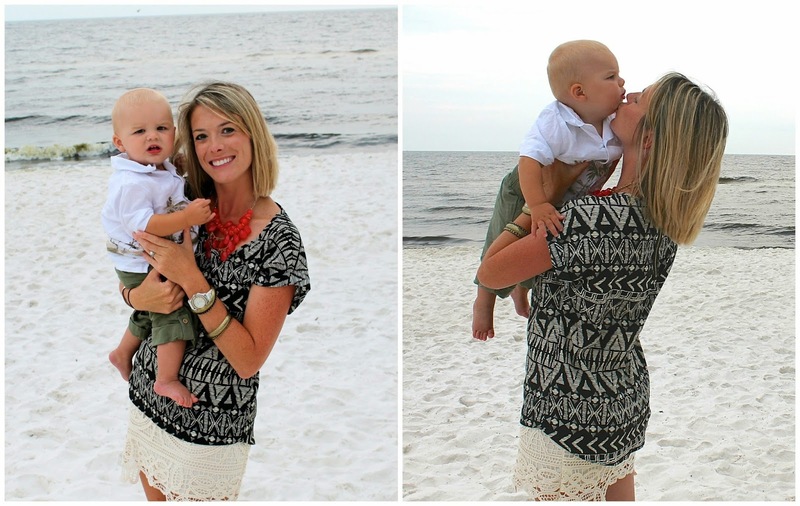 I have an adorable 21-month old boy, Brantley, and a very new-to-life one-week old baby boy, Holden! 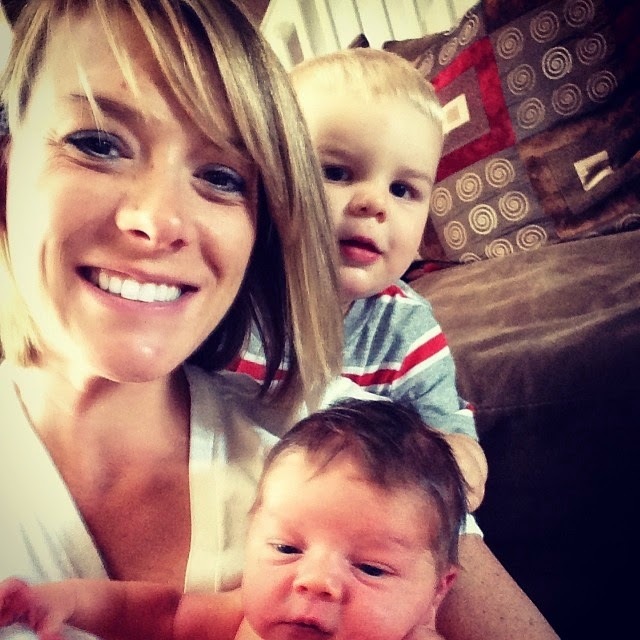 I'm obviously biased to little boys and so excited to share my experience as a #boymom! 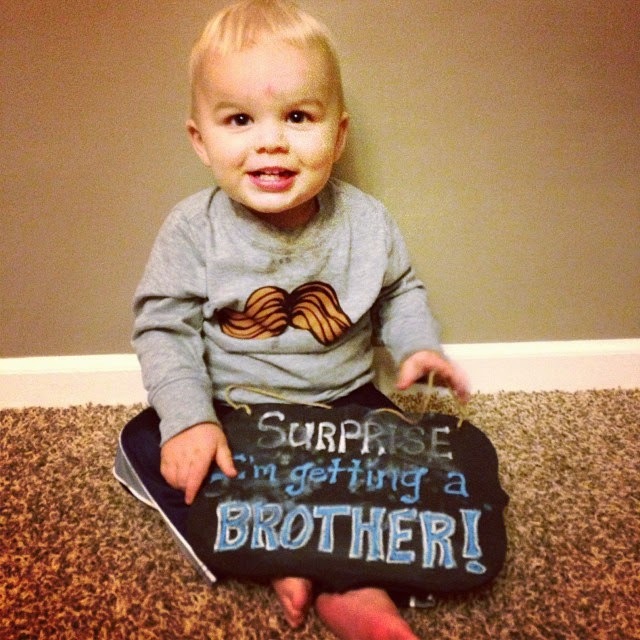 One of my friends recently learned that the baby growing inside her--her first--is a boy. Though I know she is over-the-moon excited and thrilled to finally picture her life as a mommy, there's a part of me that also knows she would have loved the pink, the frills, and the prissiness of a little girl. I, for one, made no secret of the fact that I wanted a baby girl more than anything in this world. And when I got pregnant with my first in October of 2011, I was certain that's what I was getting. After all, I'm way too girly myself to let all that girliness go to waste! I love to shop. Love to be pampered. Love getting dressed up. Love the color pink. I could go on and on. If it's girly, chances are, I love it. Besides, I am one of two girls and my husband is the only boy of three siblings, so double X chromosomes seemed to be favored in our families. Baby Sides just had to be a girl. I convinced not only myself, but nearly everyone around me. For 19 weeks. Then in February of 2012, at our Gender Reveal Party, my husband and I opened a box full of BLUE balloons. Ummmm....what??? And a little disappointment, as well. Gone were my visions of a future dancer, or perhaps cheerleader. Tutus were quickly replaced by trucks. Everything girlie I had dreamt of for weeks (more like years) was no longer my reality. I thought maybe I was seeing things. Or perhaps the party store employee had read the sonogram technician's handwriting incorrectly? Blue balloons? Really?? Shortly after opening the box full of blue balloons, we peeked at our baby's sono pictures (that had been sealed inside an envelope for five days) and sure enough, there it was. His little boy part. There was no doubt about it - I was having a BOY. The baby inside me was not my future daughter, but instead a little boy. My son. I was officially a boy mama. My husband was ecstatic. And of course, I was excited, as well. Mostly to start planning all the little details. But to be completely honest, I think it took a few days for the news to sink in. And a few more to realize there was no point in being disappointed. There was a perfectly healthy little baby growing inside me and it just so happened to be a boy. 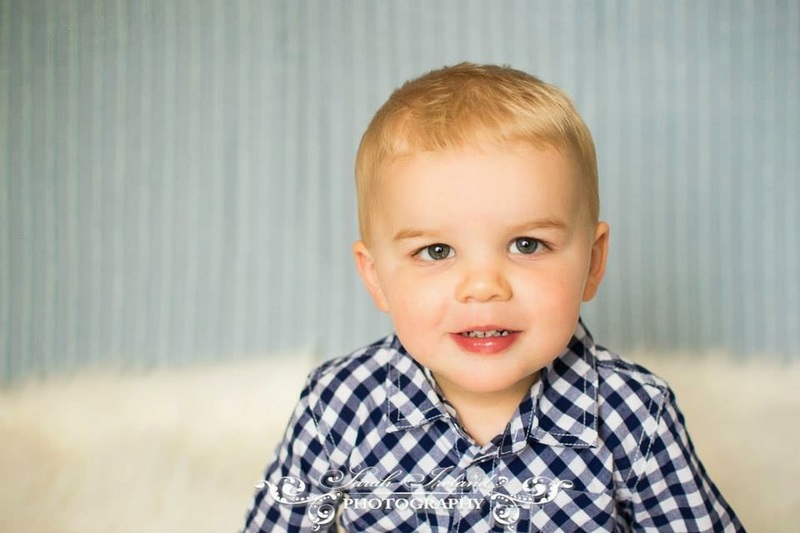 Fast forward two plus years and I can't imagine having anything but this precious little boy. He's been more fun than I could have ever imagined. As girly as I am, I've also come to realize that I'm a perfect boy mama. 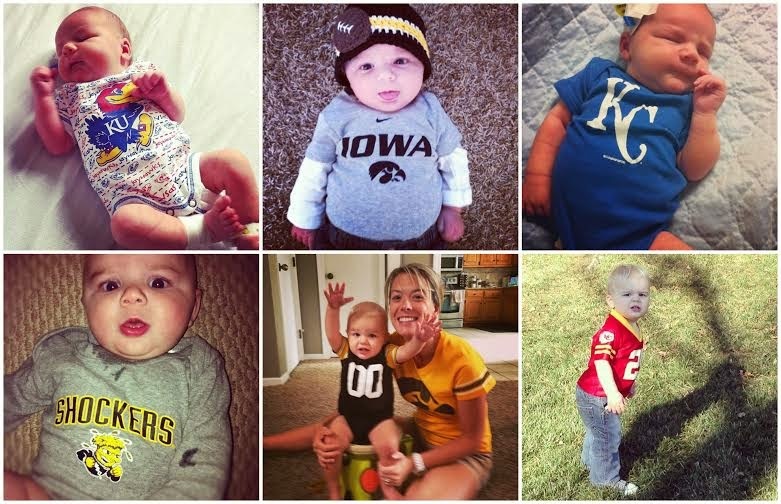 From day one, I've enjoyed dressing Brantley in sports apparel for all of our favorite teams. And taking him to his first sporting events have been some of my favorite days of his life. Even things as low-key as high school sporting events are a thousand times more fun with a little boy along. Luckily, I'm about as big of a sports fan as my hubby and I so look forward to the day when Brantley laces up his cleats and steps onto the field. I'll be one proud (albeit nervous) mama excited about cheering him on! 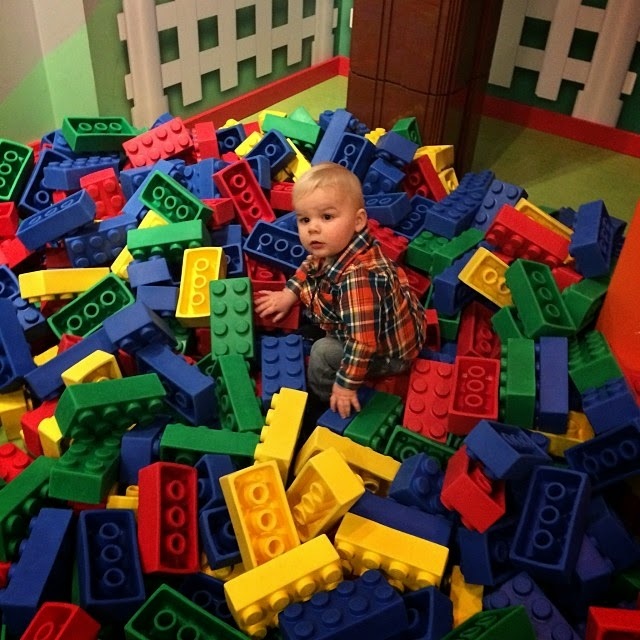 Another favorite part of having a boy? Dressing him in "little man" clothes! Sure, baby girl clothes are super trendy and I can barely walk past the toddler section at Target without wondering what it would be like to buy those adorable pieces, but boy clothes are simple. I know he needs a few basic pieces--shorts, polos, button-ups, tees, and jeans--but you can pretty much pair anything with anything. Shopping for Brantley's wardrobe has been unbelievably fun! I truly look forward to dressing my kid each morning, and each day, I think he's cuter than the day before. Then, there are the trucks. And blocks. And balls. Things that are staples on my living room floor these days. Things that scream all boy. And things I've adjusted to very well. He's ornery. He's a daredevil. And we've already been to the ER for stitches once in his 21-month life. He's definitely all boy. And this #boymama loves it. More than I ever thought possible. So, if you find yourself a little bummed about the results of your gender-revealing sonogram, take it from me and know that you will not be disappointed. In fact, instead, you'll probably be pleasantly surprised and find yourself wishing for a family of boys. Thanks to Elizabeth for allowing me to be part of this series!